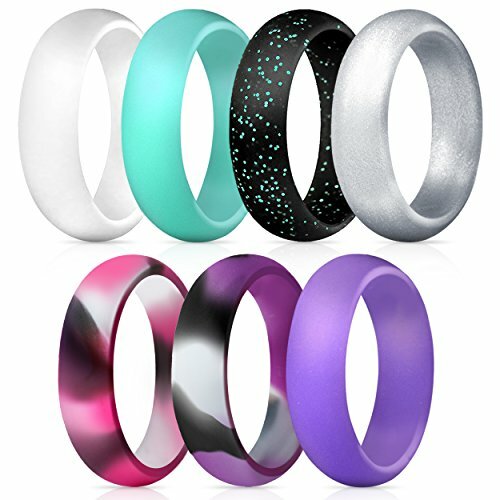 TOP GRADE, HYPOALLERGENIC, FLEXIBLE SILICONE – Our silicone wedding ring made of safe, durable, non-toxic, extraordinary high quality flexible silicone. Designed to break away at 43 lbs of pressure! 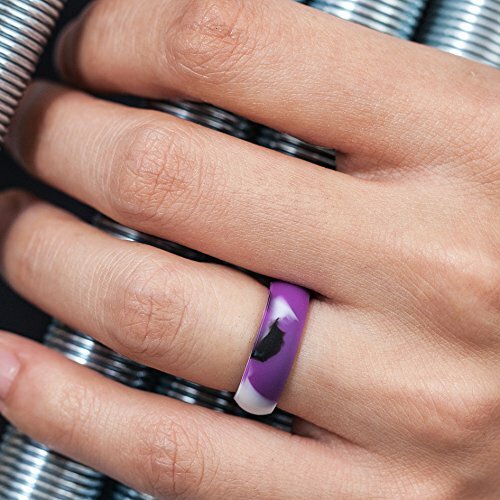 The flexibility of this ring is also perfect for those with large knuckles or temporary swollen fingers. 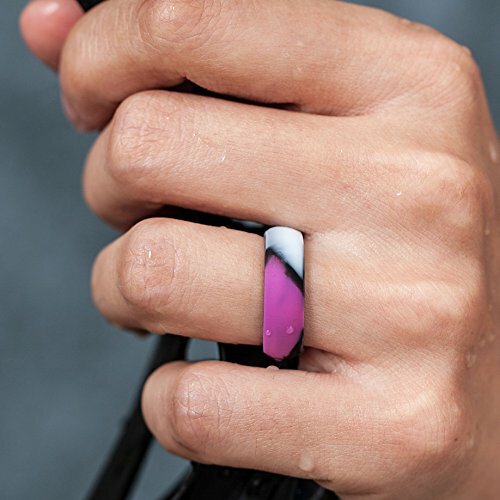 THE PERFECT GIFT IDEA – Our silicone wedding ring is the best idea for a cool & trendy gift – Usually given for anniversary, for her birthday, Valentines and more.. 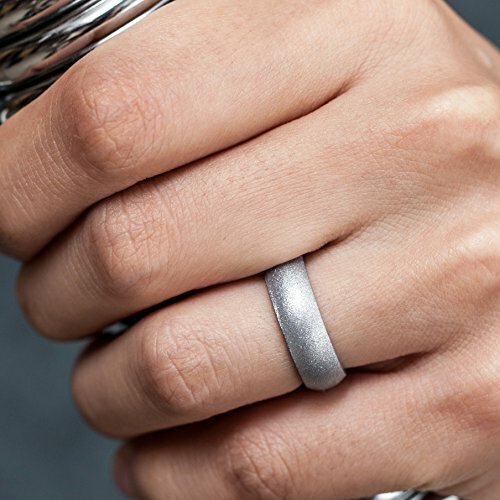 Mothers's Day, Keep her safe and active and she'll never want to take our rings off. 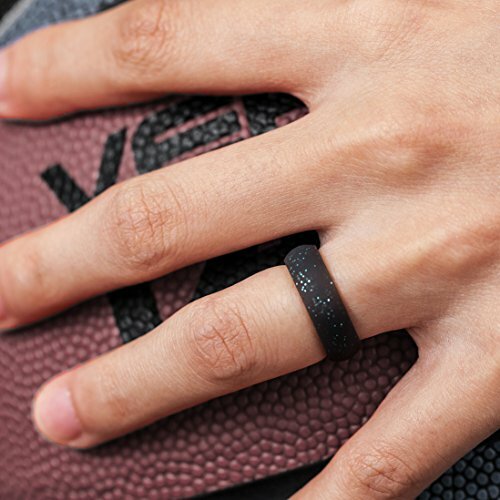 backed by ThunderFit brand every step along the way. happy with your product, return for and a full refund will be provided - no questions asked.